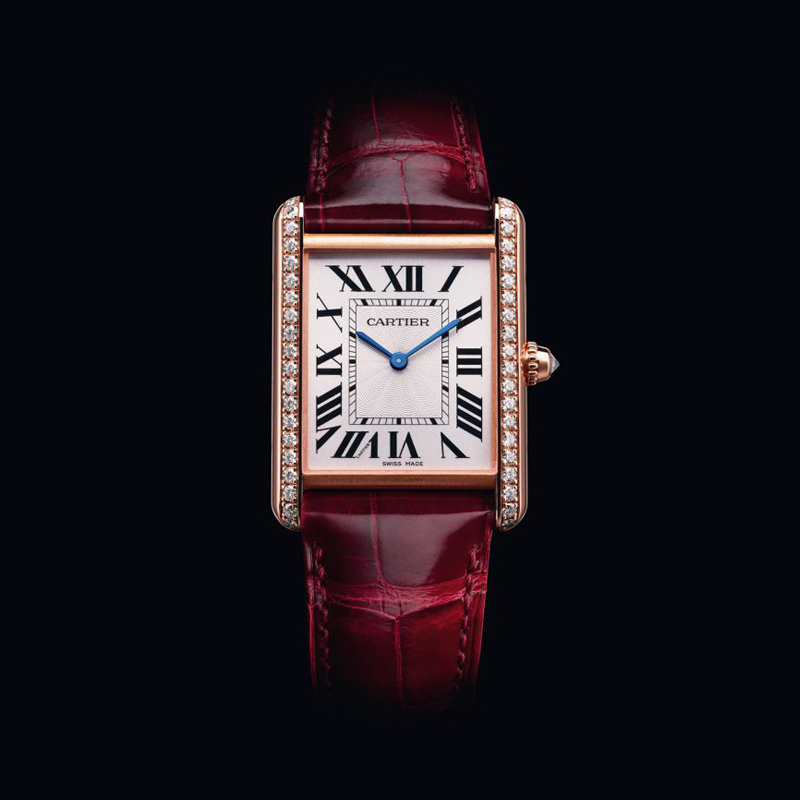 In 2017 Cartier will enrich its celebrated Tank collection with several new models. Among the novelties, there are three new gold versions of the Tank Louis Cartier, a timepiece which first saw the light in 1922 becoming one of the best-loved Tank models of all time thanks to its clear-cut lines and measured composition. 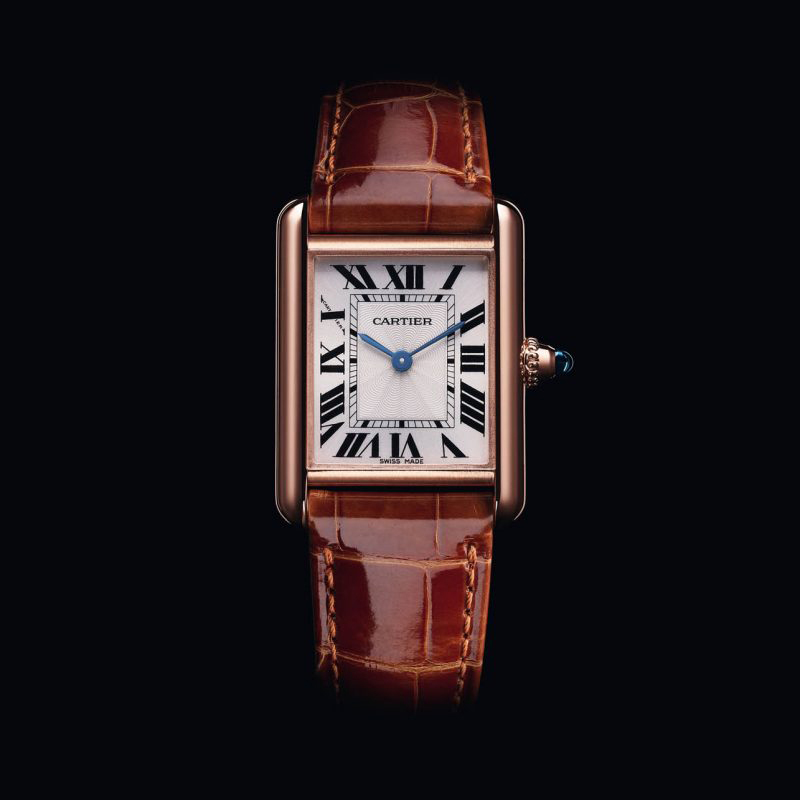 It was the watch worn by Louis Cartier himself. The new watches come in two sizes: a medium unisex version measuring 33.7 mm x 25.5 mm (and 6.6 mm thick) which is only slightly larger than the original, and two 29.5 mm x 22 mm small versions for Ladies, one of them adorned with 40 brilliant-cut diamonds. All watches are presented in pink gold except for the diamond-set version which is also available in white gold. Protected by sapphire crystals, the dials are perfectly clean with Roman numerals, sword-shaped hour and minute hands, dotted rail-track and central guilloché decoration. No seconds and no date for a very clean and elegant design. The traditional beaded crown set with a sapphire cabochon - or a diamond for the jeweled versions - winds the mechanical movement, the hand-wound Calibre 8971 MC. Water resistance is 30 metres / 100 feet. 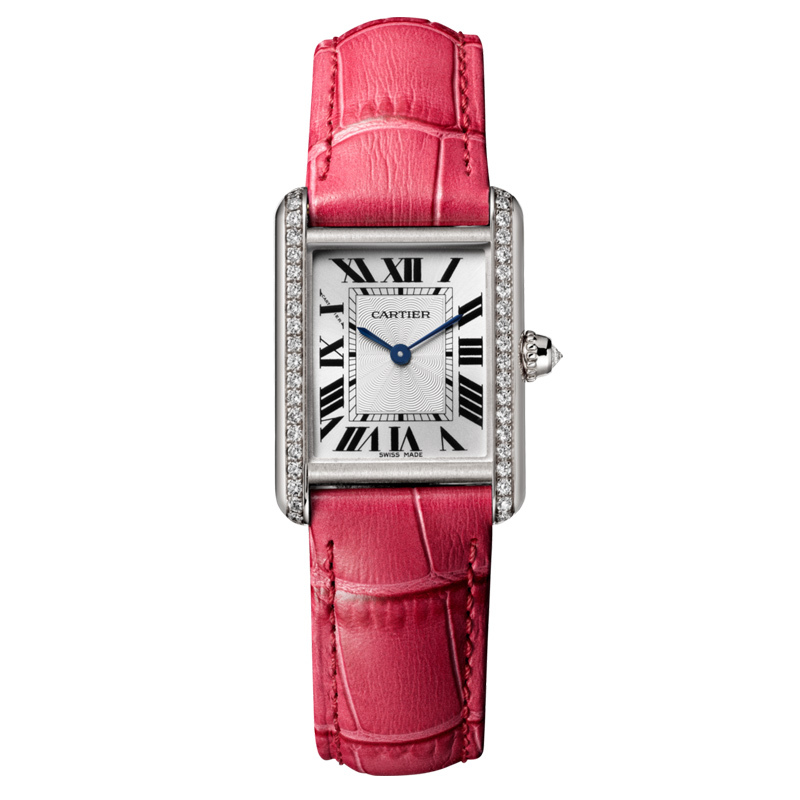 Cartier Tank Louis Cartier 2017. 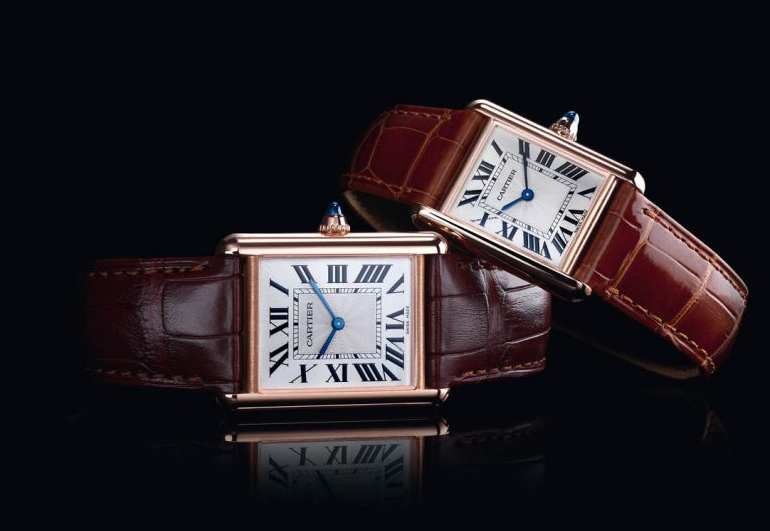 In 2017 Cartier will introduce several new models for its celebrated Tank collection. 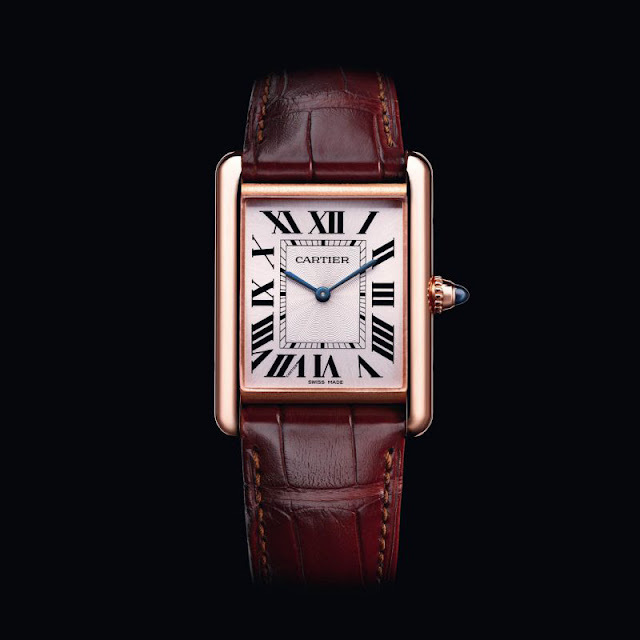 Among the novelties, there are three new gold versions of the Tank Louis Cartier, a timepiece which first saw the light in 1922 becoming one of the best-loved Tank models of all time thanks to its clear-cut lines and measured composition. It was the watch worn by Louis Cartier himself. The new watches come in two sizes: a medium unisex version measuring 33.7 mm x 25.5 mm (and 6.6 mm thick), only slightly larger than the original, and two 29.5 mm x 22 mm small versions for Ladies, one of them adorned with 40 brilliant-cut diamonds.